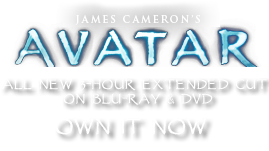 Gau 90 Thirty Millimeter Canon | Pandorapedia: The Official Guide to Pandora | Own AVATAR on Blu-ray & DVD Now! The Gau 90 can be used as a conventional weapon against larger creatures and indigenous tribes. But it is most often used as an effective clear-cutter. 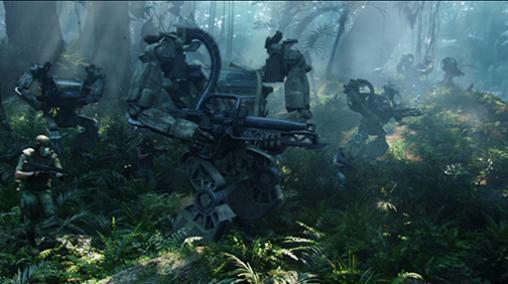 The high explosives provided by this machine gun have proved useful in the rapid clearing of paths through the dense foliage of Pandora. This Gau 90 is also fitted with a H&F Arms Manufacturing Ltd FPCT (fixed point cutting tool). This modular attachment allows the AMP suit pilot to use the Gau 90 underside as a brush and wire clearing tool when operating in dense foliage or urban environments. The form factor of the underside cutting tool (looking like a large traditional “bayonet”) is a design choice borrowed from its sister module, the AMP-H&FAML-SK, which proved very popular with buyers and pilots associated with the AMP Suit weapons system. Use on Pandora For use with AMP Suit. Clearing dense underbrush and vines inhibiting the movement of driver. Ammunition Thirty millimeter HEI (high explosive, incendiary), penetration rounds and tracer bullets. It has active dampening for recoil and is gyroscopically stabilized.